How would you like to receive this adorable basket filled to the brim with holiday pencils? I thought you would! Pencils are always a hot classroom item. Holiday pencils are super hot. And this basket can be used through the winter for all kinds of things! Have you visited The Mailbox on Pinterest? Be sure to leave your comment before midnight November 13, 2016. On November 14, check your inbox for the email address you used to submit your comment. That’s how the winner will be notified! I had no idea. I will definitely check it out. I was not aware The Mailbox was on Pinterest. I will be checking this out! Thanks for sharing. Thanks for the opportunity to win a basket of pencils. I did not know The Mailbox was on Pinterest. Thanks for the heads up. I’ll check it out! Thanks for the chance to win pencils. We are always out! I did not know that Mailbox was on Pinterest either. Thanks for letting us know. I didn’t know that Mailbox was on Pintrest, either!! Will look for it!! Of course I have! Mailbox Rocks!!! No, I didn’t know you had one! I will definitely check it out this weekend. Pencils… That will certainly give everyone something to write about. 🙂 I like the pinterest site. Yes…been following them for a while now! Yes, I enjoy looking at their Pins!! I did not know Mailbox was on Pinterest. I will now look for it. I did not know Mailbox was on Pinterest. I will check it out immediately! I did not know that! I love Pinterest and will be sure to follow the Mailbox now that I know. I love pencils! Let’s get into the holiday giving spirit. No. I didn’t know it was possible. I’ll definitely check it out. No I did not know that it was available. I will try it out. Yes, I’ve visited it! And my students love different pencils sooooo much! No. I’m in the process of transitioning from my bi-monthly Mailbox magazine to your online helps. Simply, yes. NOW I have! I have not, but I will now! ? I was no aware the mailbox was on pinterest but it makes sense that it is!! Ive been a fan of the mailbox since 2007! Love all the tips! This is an awesome idea!!! I have not. But as soon as I’m off of Facebook I will be on Pinterest. No, I didn’t know it was there! Yes, I have! You guys rock! I didn’t know Mailbox was on Pinterest? I do have an online subscription though and I LOVE it! I have not. Pinterest totally overwhelms me, so I avoid it. I follow you faithfully on Facebook and website. No I didn’t know there was one. I’ll be looking now! No, I haven’t but I definitely plan on it! Did not know The Mailbox was on Pintrest. will have to check it out. Yes, I have! Though this post prompted me to re-visit. Yes, Now that I know there is a Pinterest site for The Mailbox, I will be checking it out constantly. I LOVE The Mailbox, but also did not know it was on Pinterest! I will be visiting it in a minute or two! No but I’ll definitely look it up! I have visited Mailbox on Pinterest. Great ideas! I didn’t know mailbox was on Pinterest I just found out that mailbox was on Facebook. I will look for mailbox on Pinterest soon. No I haven’t but I will now. So glad to know you are on Pinterest. I have visited Mailbox on Pinterest and have many items pinned! I have visited and come out with great ideas! Thanks for the inspiration. No, I didn’t know it was there. I’m going to now! Of course! Always looking for new ideas! I didn’t know I could! But now I will for sure!! I did not know Mailbox was on Pinterest! Now I have something new to check out on there!! Woo hoo! I didn’t know, I will be adding. Yes, I did!! Fantastic ideas!! I will now! I am on my way there next! Yes, I use the mailbox every week. Great ideas and lessons for lower grades. Daily morning and afternoon lessons are very useful in starting the morning icebreakers. No, I didn’t know you had one! This is exciting to know. I will definitely have to check it out!! I haven’t but will now! Wasn’t aware of it. But I’m on my way there now! I just did and also checked The Mailbox on Instagram, too! I will now that I know there is one! No I haven’t, but I will now! I have not, but I sure will now! Mailbox has been a staple of mine for years! I love mailbox on pinterest! Yes I have been on your Pinterest page. Great ideas. I think kids eat pencils. There are always disappearing. ? Yes I have! I ? The Mailbox!! I’ve gotten so many wonderful ideas from Mailbox over the years! This is a cute idea for pencils! I LOVE the mailbox online, on Pinterest, anywhere! I would love the pencils too! I just looked it up! I never thought to look on Pinterest. Super excited to follow on Pinterest! Yes, love mailbox and Pinterest! No but now that I do I will be checking it out! No, I haven’t. I will need to check it out. I love pinterest for classroom ideas. Indeed! Almost on a daily basis! No, didn’t know there was one…….but I do now! I have not visited Themailbox on Pinterest , but I will now. I love them both. Didn’t know you had a Pinterest! Now I do! Yes, I love The Mailbox on Pinterest! No, I wasn’t aware mailbox was on there. I didn’t realize Mailbox was on Pinterest. I am going to go look right now! I have not visited Mailbox on Pinterest, but now I will. Always the go-to places for great ideas! Yes and I follow Mailbox on Pinterest. Pinterest and Mailbox great. Resources! ? No, never thought to look for the mailbox on pinterest, will now! The Mailbox on Pinterest is a wonderful thing. So is this giveaway! No, I haven’t but will have to check it out! No. But I will soon! Love the posts on Facebook so I’m sure the pins are amazing! No, but I will be checking it out. I have not visited mailbox on Pinterest, but now I will. I have been with Mailbox for years and it always keeps improving. Thank You for that! I didn’t know it was there- I’ll look for it. I didn’t know The Mailbox is on Pintrest!! Going to check it out now!! How Exciting! I didn’t know The Mailbox is on Pintrest!! How Exciting! Going to check it out now!! I just followed Mailbox…I didn’t know you were on Pinterest! Yes! Love all the inspiration. I did not know that you could find The Mailbox on Pinterest. I use it daily!! Such a great resource!! Yes, My students love pencils! I use Mailbox and Pinterest weekly. FANTASTIC ideas for the classroom. The Mailbox is always a site we go to when lesson planning-and we did find them on Pinterest. and we love it. The Mailbox on Pinterest; who knew!!! I just learned about The Mailbox on Pinterest. I have been a long-time subscriber and am thrilled to get more informative, great ideas from The Mailbox going forward. Thanks! I love The Mailbox but didn’t know that they were on Pinterest. I’m going on to check it out now! I am on Pinterest all the time!! I had no idea the Mailbox was on. I will definitely follow now. Thank you!! No, I didn’t know Mailbox was on Pinterest. I’ll be sure to check it out. Not until recently – thank you! I did not know The Mailbox was on Pinterest. I’m going to check it out RIGHT NOW!! NO I did not know The Mailbox was on pinterest now that I do, as a user since 1992, I will definitely follow The Mailbox there! I do use the site! I love it! I love Mailbox. I didn’t know they were on Pinterest. I have to go check it out.! I didn’t know The Mailbox was on Pinterest! No, I have been avoiding Pinterest these days…. Yes, I look The Mailbox daily for classroom ideas and lesson planning suggestions. The ideas are an asset to planning centers for scholars. I’ve loved the Mailbox for the past thirty years of my career. Happy to know you’re on Pinterest!!! No, I did not know Mailbox was on Pinterest. I have not. I only use Pinterest when a Google search sends me there. I do follow your emails and website regularly though. I have old Mailbox magazines that I still refer to and I get the e-mails. I will check your section on Pinterest! The holder and the pencils are adorable! Yes, I am following The Mailbox on Pinterest. I love Pinterest and I sure love Mailbox,, so I’m sure it’s the perfect match! Oh my goodness! I love Pinterest but did not know Mailbox was there. I will definitely be checking it out for more wonderful ideas! I didn’t know Mailbox had a Pinterest account. I will go to it now. No, I have not. But, I’m on my way there, NOW!!! I did not know you had a pinterest page!! Whoop Whoop! I visit the mailbox at least 3 times a week. Love the ideas!! I didn’t know you had a Pinterest but will start following you now ? I didn’t know about this. I will definitely check it out! I did not know that you had a Pinterest! I will have to check it out! Yea!!! Didn’t know that The Mailbox is on Pinterest! Will have to check it out for when I need some teaching ideas! I don’t always follow Pinterest. It has great ideas, projects, and info, but sometimes I can get so wrapped up in reading it that I lose all track of time. Nope, I did NOT know The Mailbox was on Pinterest! Thanks for sharing! I dd not know either that mailbox was on pinterest. I will be checking it out. Love mailbox, so your pinterest page will be just as good I am sure. Yes – The Mailbox is often pinned for me since education is one of my interests! I will check it out now that I know it is there! Love Mailbox & Love Pinterest! Great combination! I didn’t know that The Mailbox was on Pinterest, but I’m going to be following now! I didn’t know they were on Pinterest. I am heading over right now to check it out! Why didn’t I think of Mailbox being on Pinterest? Why didn’t I think of Mailbox on Pinterest? Heading over right now! I visit it for new and refreshing ideas often. I am going right now to check out Mailbox on Pinterest! I didn’t know Mailbox was on Pinterest. I will have to check that out. I did not know The Mailbox was on Pinterest, but I will be sure to check it out soon! Lots of great arts and crafts from Mailbox are on Pinterest! Thanks for the reminder. I need to check it out more often. Will have to check it out now that I know it is there. Didn’t know you were on pintrest. Will look for it now. No, I have not. I did not know Mailbox was on Pinterest. Some items I have saved to my boards on Pinterest are from Mailbox but I have not specifically sought out the Mailbox through Pinterest. Will have to remember that. I am a regular subscriber to The Mailbox, but I did not know they were on Pinterest. I’ll be sure to check it out now. I was not aware that the Mailbox was also on Pinterest. I will definitely look for it there! Now that I know Mailbix is on Pinterest, I’ll not only go see now, but also check regularly!! I check mailbox regularly for ideas!! I have visited The Mailbox on Pinterest! Tons of great ideas! Wow I did not know Mailbox was also on Pin Interest! Thanks for making me aware! I would like to win the pencils I think the Pencil Moster has eaten them away! I love the mailbox and Pinterest!!!! My students and I love decorative pencils. I have found you on Pinterest and following. I did and it’s awesome!! Yes I have and I just pinned some more ideas! I just did. I love Mailbox on Pinterest. No, I didn’t know there was one :-(. Will be looking for it now! Yes. In fact, I often repin items you have pinned. Thanks for sharing your ideas! Mailbox YES! Yikes I did not know about Pinterest. I’m on it! No, I haven’t. I didn’t realize Mailbox was on Pinterest but will visit it now! Yes I have visited Mailbox on Pinterest ! Yes I have. The ideas are Fantastic! I didn’t know Mailbox was on Pinterest, I will have to start following! Sorry I didn’t know Mailbox was on Pintrest. Yes! I follow it and find great things there! I did not know that Mailbox was on Pinterest, but will check it out. 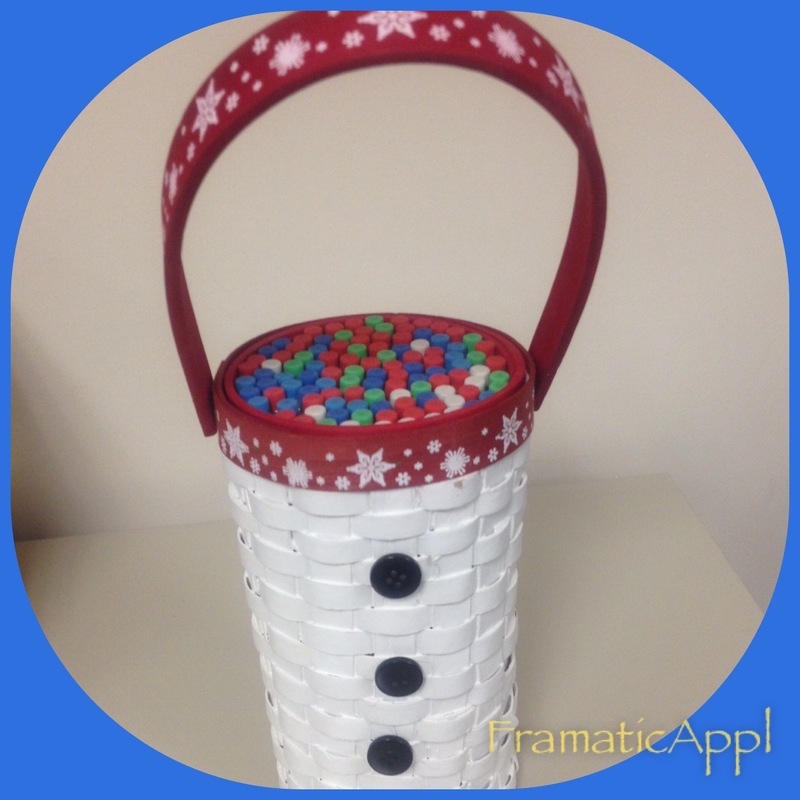 would love to have a little snowman basket filled with pencils! No, I was not aware of Mailbox being on Pinterest. I will look forward to looking up Mailbox on Pinterest. I love Mailbox! It is an asset to my teaching. I didn’t know it was on Pinterest. Now I will start following it there. I did not know The Mailbox was there- I will definitely check it out! I haven’t done it yet, but I will look at it now. I will need to check out pinterest. Thanks for sharing! No, but I certainly will! Yes, I have. Wonderful resource. Yes I have! Addicted to Pinterest! Just scored four more excellent ideas for writing in my second grade class! I LOVE PINTEREST!!! Wish I had more time …. it’s a wonderful resource, especially with all of the great posts from The Mailbox! LOVE LOVE LOVE IT! No I have not but I definitely will from now on! Yes, I found out about it through my school and check it out all the time! No, I have not as I didn’t know about your site. I did not realize Mailbox was on Pinterest. I will definitely check it out since I am on Pinterest at least once a day. I have not but am looking forward to checking it out. Yes I have and I have used a couple of the ideas. Keep up the good work. Yes, I have! I refer to the great ideas a lot! Such a great wealth of fun, educational ideas! I haven’t, but I will look for it today! Yes, I have visited the site. I love pintrest. I just checked it out. I found some really cool ideas for Thanksgiving for all grade levels. No I haven’t. Thanks for letting me know about it. I didn’t know Mailbox was on Pinterest! Going to have to check that out! Yes, I have. Quite often!!! Of course I follow The Mailbox on Pinterest! 😀 I’ve also shared with other teacher friends! Pencils are like socks, they just disappear, never to be seen again. No I have not. But I am going to right now. Yes I have, and it is great. I do home daycare and my kids love to do art and crafts. No, I had no idea! Now that I know, I’ll certainly check it out!! Thanks for another awesome resource! It is now one of my favorites! I wasn’t aware that they had their own board. I have seen several pins from Mailbox articles but they were pinned by individuals from the Mailbox website.